TV5 and MMDA (Metro Manila Development Authority) have recently released the Beta version of the Metro Manila Traffic Navigator, an application that gives the public easy access to the traffic situation in the metropolis via TV5’s online news portal InterAksyon.com. 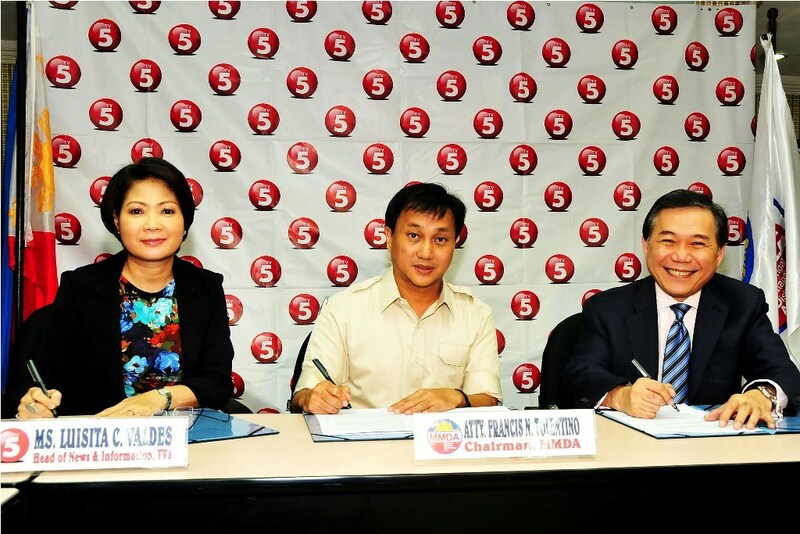 Present in the contract signing were (L-R) TV5 News and Information Head Luchi Cruz-Valdes, MMDA Chairman Atty. Francis N. Tolentino, and TV5 President and CEO Atty. Ray C. Espinosa. The TV5-MMDA effort is in line with President Benigno Aquino III’s mandate to implement Public-Private Partnership (PPP) programs and projects that put a premium on public interest. The Metro Manila Traffic Navigator can be accessed at http://mmdatraffic.interaksyon.com/.